1. 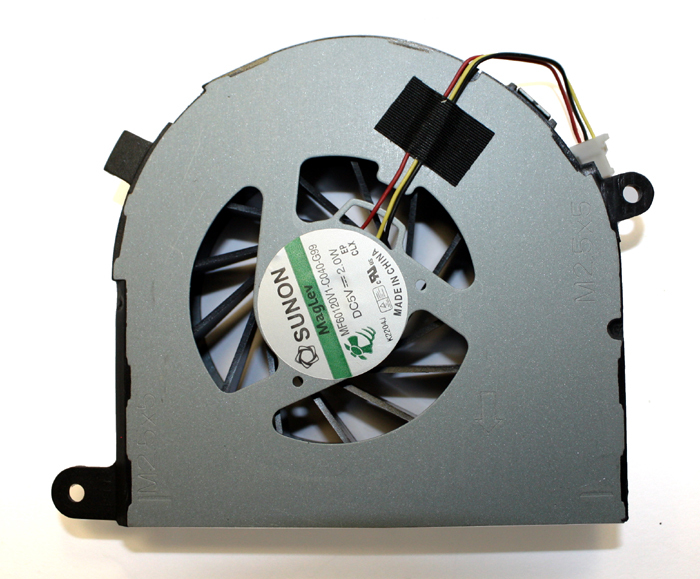 Turn off your Dell Inspiron 17R N7110, unplug the powe adater, and remove the battery. 2. There are four locks securing the keyboard on the top. 3. Each lock has a spring behind it. Push the lock into the case with a small screwdriver. At the same time lift up the keyboard a little bit. 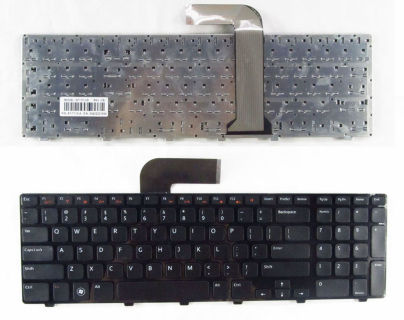 You can use a knife blade to lift up the keyboard. While the keyboard is lifted, push in all other locks. 4. 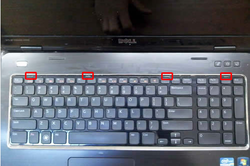 Lift up the top side of the keyboard and place the keyboard upside down on the palmrest. 5. Now you can access the keyboard connector. Lift up the left side of the brown tab with your fingernail. The tap will open up at a 90 degree angle. Then you can pull the cable from the connector. 8. 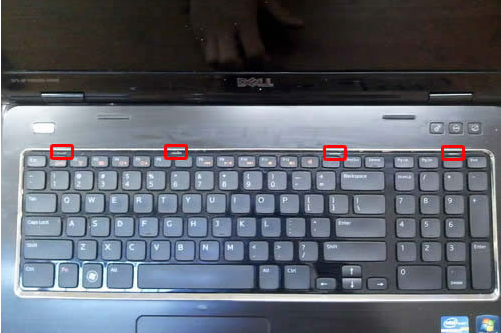 Lift the keyboard off the Dell Inspiron 17R N7110 laptop. Reverse the procedure to install your new Dell Inspiron 17R N7010 Keyboard.